Some are in it purely for the money. Others just want a few extra yuan to buy a meal. And then there are also those who trade for fun or to spend time among friends. Millions of mom-and-pop investors – from pensioners, to security guards, to students – dominate China’s stock markets, conducting about 80 percent of all transactions. But this year they have experienced one of the most tumultuous periods in the country’s financial history. China’s stock markets first soared – more than doubling in the six months to May – only to crash. Since June, prices have fallen about 40 percent on concerns that growth in the world’s second-biggest economy is slowing down faster than previously thought. “Trading stocks is my biggest hobby,” says 90-year-old Wang Cunchun, who only started to invest in equities after he retired from a stationery store in Shanghai. 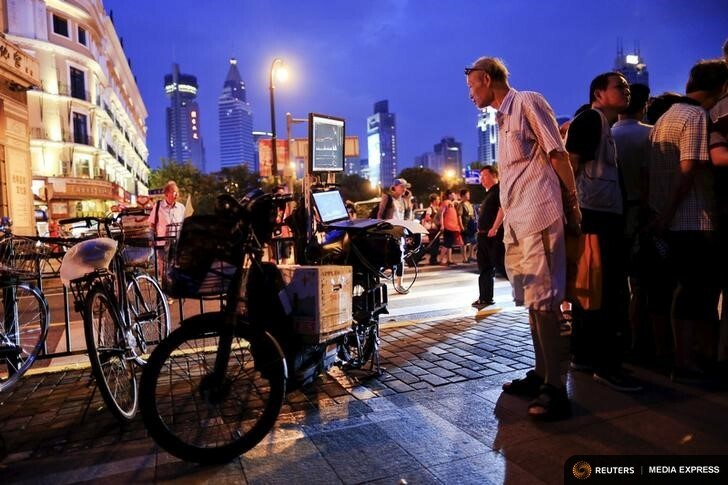 He joins other retirees in one of the many brokerage houses dotted around China where people gather not just to trade stocks but to enjoy the company of fellow investors and take advantage of the air conditioning on hot days. He began trading at the age of 13, when his father gave him 2,000 yuan ($320) to learn about stock investing. He fits trading into his schedule when he has a day off school. “I like maths and want to study finance in college and I think it’s very helpful for job hunting,” Qian said. While some retail investors say they want to make their fortune on China’s stock markets, electrician Gao Haibao, 55, has a more modest approach by aiming to make about 10 yuan everyday, or $1.50. Many of the retail investors use an informal network to help decide which stocks they want to buy and sell. At the weekends in Shanghai, hundreds gather at what is locally known as the “street stock salon” near the city’s landmark People’s Square to exchange tips and information and listen to long-term investors talk about their experiences. Wu Lin’an sells his analysis of the stock market at the “street stock salon” and believes the ruling Communist Party, headed by President Xi Jinping, will save the stock market and make people rich. Facts and Opinions is a boutique journal, of reporting and analysis in words and images, without borders. Independent, non-partisan and employee-owned, F&O is funded by you, our readers. We do not carry advertising or “branded content,” or solicit donations from partisan organizations. Please visit our Subscribe page to chip in at least .27 for one story or $1 for a day site pass. Please tell others about us..